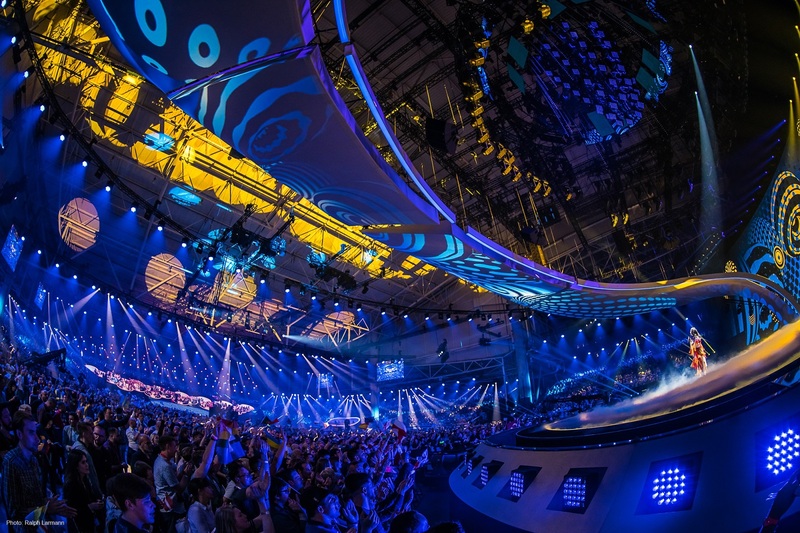 The Eurovision Song Contest is a unique experience in the world of entertainment made all the more special by use of some of the largest lighting and video systems you’ll find on any show. 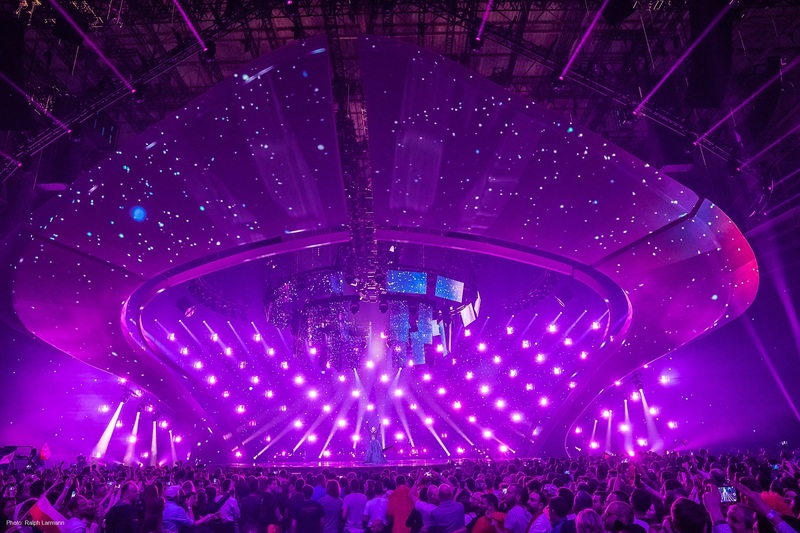 Elation Professional was proud to have been part of this year’s Eurovision Song Contest in Kyiv with over 800 lighting products used as audience and stage lighting by Lighting Designer Jerry Appelt and Eurovision Song Contest Head of Production Ola Melzig. 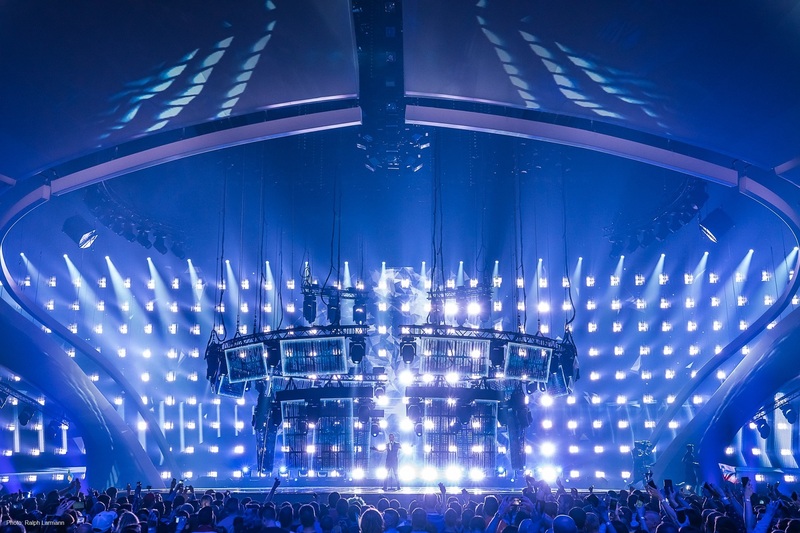 Perhaps no other show in the world lends itself to the use of intelligent lighting like the Eurovision Song Contest (ESC). With 42 different songs to highlight over the course of three huge shows – not to mention rehearsals and a host of other performances – the flexibility engineered into today’s lighting and video systems allowed the ESC design team to be highly creative when custom-designing unique looks for each performance. 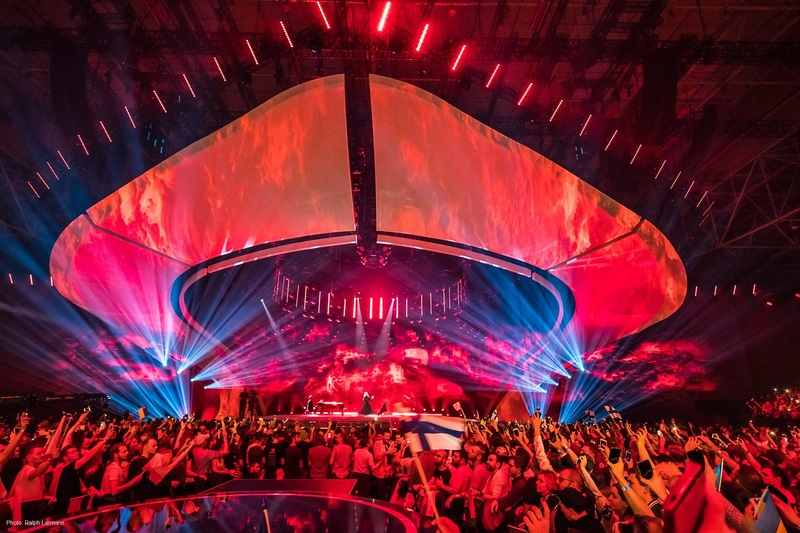 Held May 9-13 at the International Exhibition Centre in Kyiv, Ukraine, proportions mirrored the enormity of the production with 1816 active intelligent lights and 1000 square meters of LED screen used to decorate a performance space of roughly 350 square meters. Some 11,000 spectators attended each show with over 200 million viewers in 50 countries tuning in to watch the Grand Final on May 13. Elation Professional served as an Official Technical Event Supplier to the 2017 show with a large portion of the intelligent lighting package made up of Elation lights. In the rig were 351 Elation Paladin™ hybrid strobe/blinder/wash lights, 132 Platinum FLX™ hybrid moving heads, 140 Platinum 1200 Wash™ and 70 Platinum Seven™ moving head LED wash lights, along with 110 SixBar 1000™ LED battens. Providing the lighting, video and rigging technology for the show was PRG in cooperation with LITECOM. 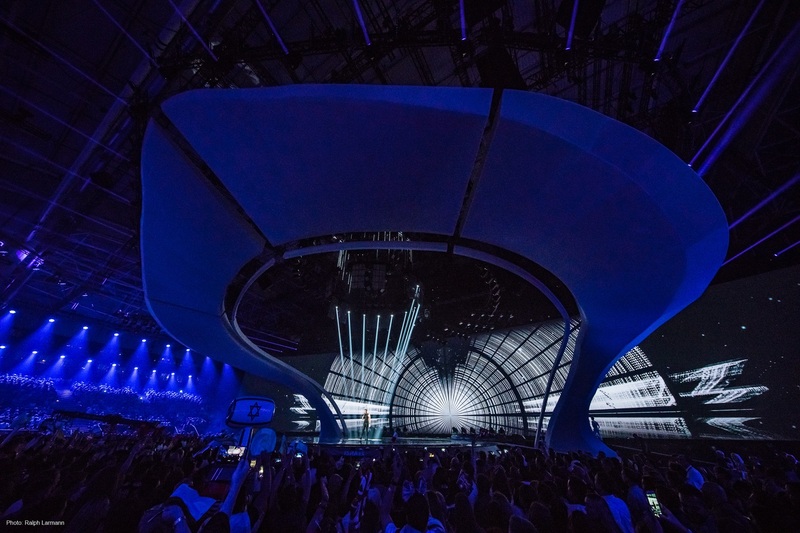 Production Manager Ola Melzig has handled the technical production on many ESC shows and again mastered the myriad of production elements necessary to put on a world-class show. 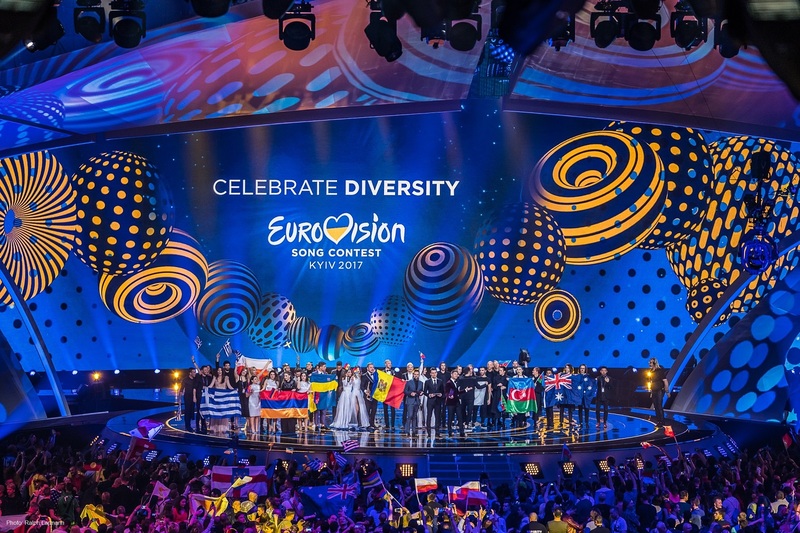 Melzig, who produced this year’s Eurovision Song Contest in less than five months, a much shorter time period than normal, produced three spectacular broadcasts with the Grand Final marking his 30th Eurovision broadcast since starting with ESC in 2000. The Eurovision Song Contest proved an opportunity for the Ukraine to show the world a positive face with enthusiastic crowds filling the International Exhibition Center for all three shows, as well as rehearsals. Most of the audience lighting for the show came from Elation’s powerful Platinum 1200 Wash™ LED wash moving heads along with Platinum Seven™ LED wash moving heads. Above the stage hung a key element in the stage lighting setup, a movable ‘beehive’ surrounded by truss that included Platinum FLX hybrids, Elation’s award-winning spot/beam/wash moving head with patented dual optical system. The FLX’s provided some wonderful looks such as artists immersed in concentrations of beams or splayed beam effects with the FLX fixtures projected outward. Additional Platinum FLX fixtures worked from a sidelight position together with the Platinum 1200 Wash fixtures. LED battens with a 6-color LED multi-chip. Filling the space above the stage arch and curving all the way around it on both sides to reflect its shape, the vertically-positioned SixBar pixel strips provided dynamic chase effects, wash and decorative eye-candy looks throughout the show. SixBar fixtures were also mounted vertically on the outer edge of the beehive for a defining decorative touch. "I love the SixBar 1000!” Ola Melzig stated. “It’s the perfect tool for wash or pixel effects with great color mixing and dimming that hasn’t been seen before." Holding such an immense, high profile show in the Ukraine isn’t an easy job but an experienced production team can make it look like it is, and the end result was a huge success. “Despite some of the challenges working in the Ukraine, the goal was to create a state-of-the-art light show and I was really quite happy with the result,” Appelt concludes. The 2017 Eurovision Song Contest was won by Portugal, their first win ever, which means the 63rd edition of the show will take place next year in Lisbon. The Contest has been broadcast every year since its inauguration in 1956 and is one of the longest-running television programs in the world.